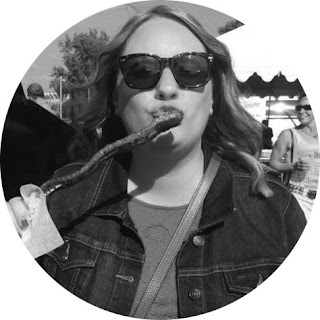 Bite Buff: Broccoli, Beef, and Brambleberry Crisp...Oh My! Broccoli, Beef, and Brambleberry Crisp...Oh My! "R" came away with freshly sliced ham, roast beef (on sale), and some Havarti cheese for sandwiches during the week. 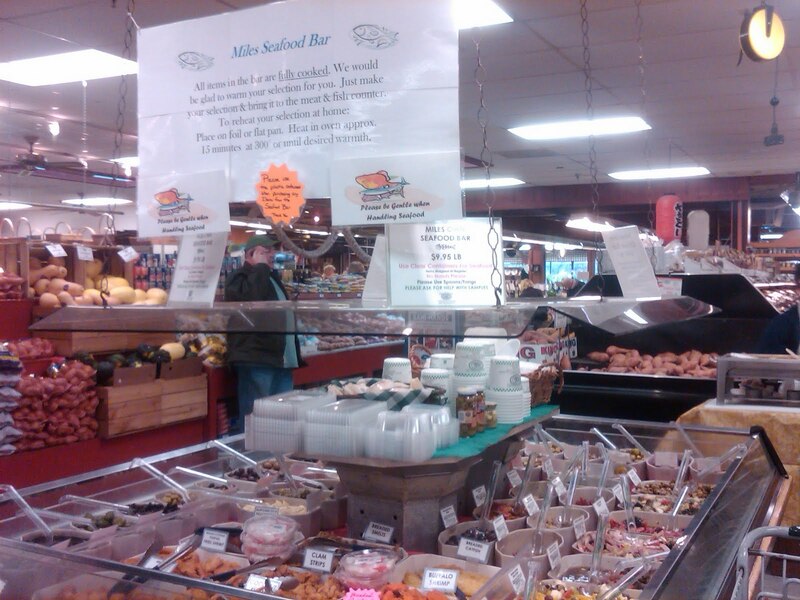 Filled with all sorts of under-the-sea goodies. We picked up a crab salad that was great with crackers as a snack! The produce area was large, and we picked up all kinds of fresh fruit and vegetables including green beans, asparagus, and broccoli. I couldn't wait to get home and have some. We hadn't been grocery shopping in two weeks, so my body was craving some fresh produce. 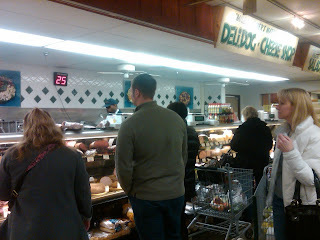 We also hit up the bakery area for muffins. "R's" mom swears by their muffins, and the Banana Nut muffins that I purchased made for a great breakfast the following two days. They were a perfect size, and very moist even days later. But the highlight of the trip had to be this... Yup, Miles Farmers Market stocks Jeni's ice cream. Jeni's is made in Columbus, and a shop is opening soon in Chagrin Falls. Cleveland ice cream fanatics LOVE Jeni's and several of our area restaurants serve their product. However, purchasing it in a store around here is hard to do. When we first approached the freezer section of Miles, there were only three pints of ice cream left on the shelves. As we stood there and tried to choose, the lovely cart full of new pints showed up that is pictured above. We were very happy! "R" absolutely loves ice cream, and he's never had Jeni's. We selected the Brambleberry Crisp- Ohio blackberries and black raspberries comprise a striking, rich-colored "Brambleberry" jam that's mixed with black currants and oven-toasted oat streusel and layered throughout honey vanilla bean ice cream. De--lish--us! I loved the flavor and texture of the added oats. "R" is now officially hooked. It was a fun experience, and I suggest that you get out to Miles Farmers Market or the West Side Market one weekend. Enjoy browsing the aisles and aisles of goodies! Nice article....never been there, will go for sure. Thanks! I live in Solon so I shop here pretty regularly. I'm glad you were able to check it out! They are currently going through some renovations so you may want to check back again in a few months. Katrina! Next time you come visit we are for sure going to jeni's...we could walk there from my house! Rik- You had me at hello. We're there! 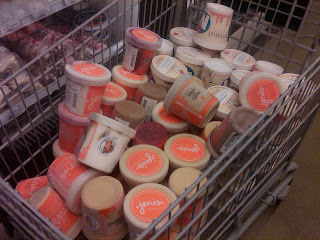 hehe I thought you were going to say that was your shopping cart full of jeni's! I haven't had the Brambleberry Crisp yet, it sounds delicious!! Jessica- I wish! But, sadly, at $10 a pint we only had one. That ice cream sounds amazing! We're definitely counting down to Jeni's opening in Chagrin Falls! 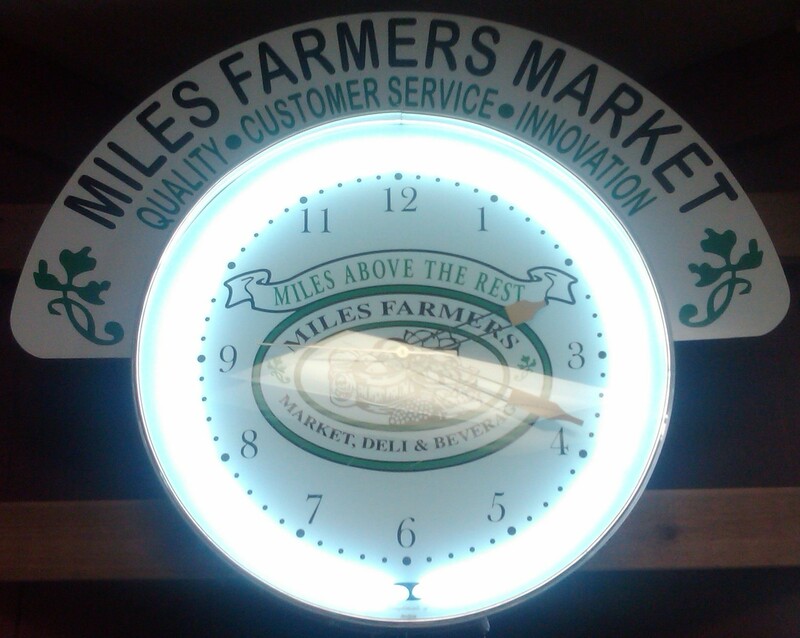 It has been quite a while since I have been to Miles Farmers Market. However, I do have a Groupon and want to get some Jeni's.